Is One Cable Connection for Electric Motors Soon to be the Automation Standard? Why take two when one would do? Why waste valuable space with twice as many cables when installing the entire system could be much smarter and compact with half the effort? 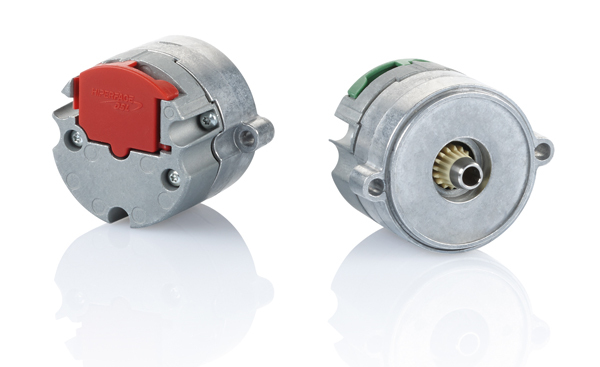 There are so many advantages of connecting regulated electric motors with just one cable – and these extend across the entire value chain for machines and plants – that SICK is opening up its patented HIPERFACE DSL® protocol with a licensing model for competitors. This will pave the way for establishing one cable connection technology for servo motors and torque drives as an open standard without elaborately designed hybrid cables. Taking a look inside standard cables within servo drive technology usually reveals three wires for the motor power – one wire for PE and two others to control the brakes and evaluate the winding temperature sensor. In conventional connection technology, a second cable is also needed for this configuration to transmit the typical feedback signals for the closed-loop system. With HIPERFACE DSL® (HDSL), SICK brought together the necessary functions in one sheath – without additional costs for the cable or increasing the amount of work required to handle different variants. In practice, the HDSL signal uses the two wires to monitor the temperature and, in turn, transfers the Celsius values required for operational safety via the DSL protocol. This simple and effective option for the streamlined installation of machines and plants has been available since 2011. Now – approximately six years later – SICK is opening up access to the drive’s slave side and motor-side encoder in addition to the master side, which has been open from the very beginning. The protocol therefore has real potential, similar to USB, to become the digital connection of the future. Two become one: The benefit of one cable connection technology, particularly in machines with drives distributed across wide areas and with a relatively high number of axes, is undoubtedly huge – but there isn’t just one. In view of the current technical developments of Industry 4.0, HIPERFACE DSL® is laying the groundwork for an automation model based on variably distributed intelligence without the rigid levels of the established automation pyramid. While it is pretty much taken for granted that drives will take on additional tasks in relation to condition monitoring, motors and sensors are also emerging more and more as independent participants within an intelligent network. This theory is one that can clearly be proved with a motor feedback system with HDSL from SICK. Due to its digital nature, this standard is capable not only of transmitting the absolute positions and speeds measured by the feedback system, but also of performing functions that extend much further. For example, something that may be impossible with a resolver – such as collecting further sensor signals at the feedback system – can indeed be achieved with intelligent digital feedback. That being the case, the best-possible conditions for preventive maintenance have been created. Condition monitoring – pure and simple! While encoders originally designed for motor feedback are easy to kit out with additional intelligence, incorporating HDSL data transmission enables a condition monitoring and early warning system to be established with little effort. The objectives of Industry 4.0 provide the framework for the cyber-physical systems. Here, it is important not only to record the data in large volumes, but to process it profitably, primarily using sophisticated algorithms. Smart motor sensors can be used to record service life data from the motor and accordingly to draw conclusions regarding failure probability and life expectancy. The opening up of the HDSL protocol is seen as the initial spark for further innovations and particularly data connection options within factory automation. After all, SICK cannot possibly have every single encoder technology that is in demand on the market in its portfolio and, for this reason, is convinced that the widespread availability of the protocol will lead to increased product variance – and therefore application possibilities – for feedback systems from different manufacturers. The time has come for this digital system to be standardized further at international level – with the ultimate aim of offering more functions for the advancing digitalization of production processes. From the smart drive to the smart machine to the smart factory. In contrast to other one cable solutions, HIPERFACE DSL® has a competitive edge of at least three to five years. This statement can be backed up in the way that the protocol has penetrated the market – being adopted by over 50 drive and motor manufacturers worldwide – and its continuous further development. In terms of infrastructure, it also boasts an extensive portfolio of cables, male connectors, FPGAs, and microcontrollers. The performance of the communication system is also evidenced by functions that extend beyond simply highly dynamic and high-resolution position control. The wide field of Safe Motion is just one example of this. Here, the now open SICK protocol achieves SIL3 as per IEC 61508 or performance level e in accordance with EN ISO 13849-1 when safety-related function chains are established. The basic conditions are therefore in place to enable HIPERFACE DSL® to be put to use in robotics applications in particular, as safety technology comes included as standard with Safety IP Core from SICK. As a result, there’s no need for any customer to give this aspect further consideration – something that is a real advantage particularly in the case of collaborative production processes. What’s more, the fact that robots have highly dynamic kinematics coordinated over multiple axes is an area where one cable connection technology can really show its strengths. Each cable that is saved reduces the net weight while also improving MTBF figures, as only half the number of cable connections are present. The HIPERFACE DSL® protocol can be used with ready-to-install SoC (System on Chip) modules, which make them much easier to implement into the drives. The HIPERFACE DSL® Master IP Core can also be integrated directly into the drive’s existing FPGA, provided the corresponding free memory is available. By opening up HIPERFACE DSL®, SICK has paved the way for competitors to make use of the internationally defined standard – ultimately with the intention of further enhancing its acceptance and availability. Accordingly, machine builders and operating entities are able to tap into the advantages of one cable connection technology as well as simple options for future-oriented preventative maintenance, to name but a couple of examples. Additionally, the digital connection of the future has real potential for developing new possibilities within Industry 4.0 as intelligence is increasingly being moved to the sensor level.